Here we see Class 56, 56082, at the head of a rake of empty seacow hopper wagons, after departing Gunnmere and heading north towards the ballast yard at Carswater. 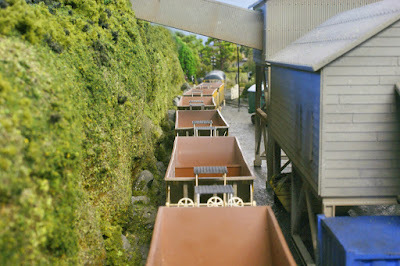 We now see the train passing Mankston, with the branch line to Anchwood running above, and in parallel with, the main line. 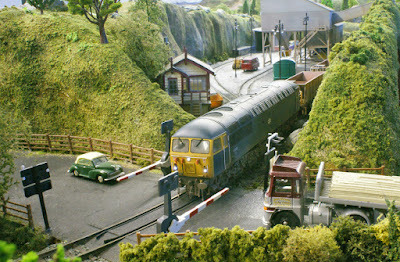 .... over a level crossing and into the ballast yard. 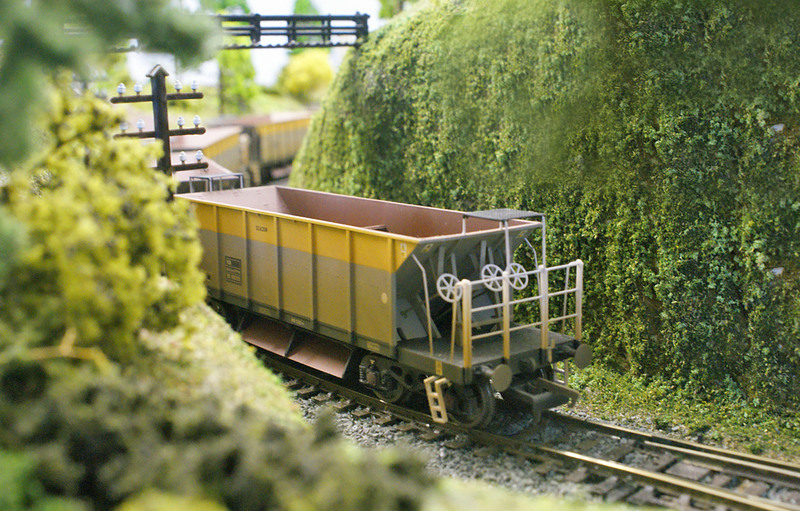 The train brings traffic to a standstill while it shunts its rake of hoppers into the yard. Now for a view from the rear of the train as the hoppers are squeezed into the yard between rock face and buildings. 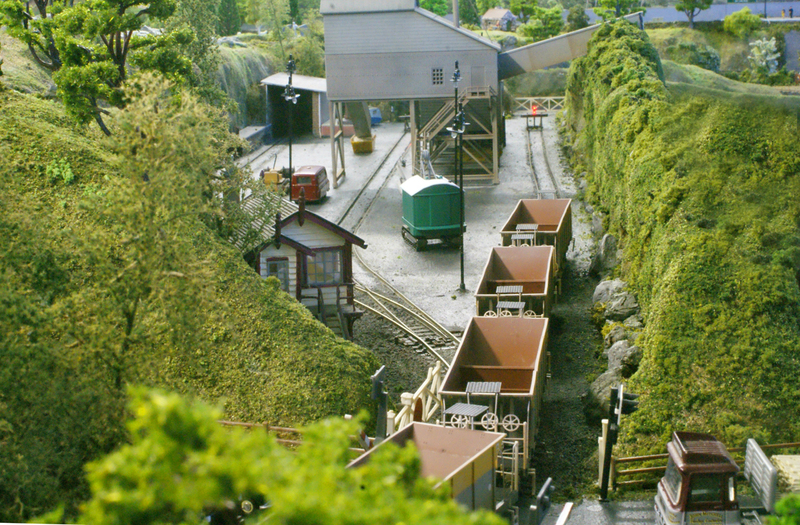 A close-up of the Grid as she stands at the head of her train. 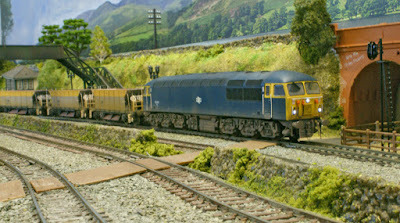 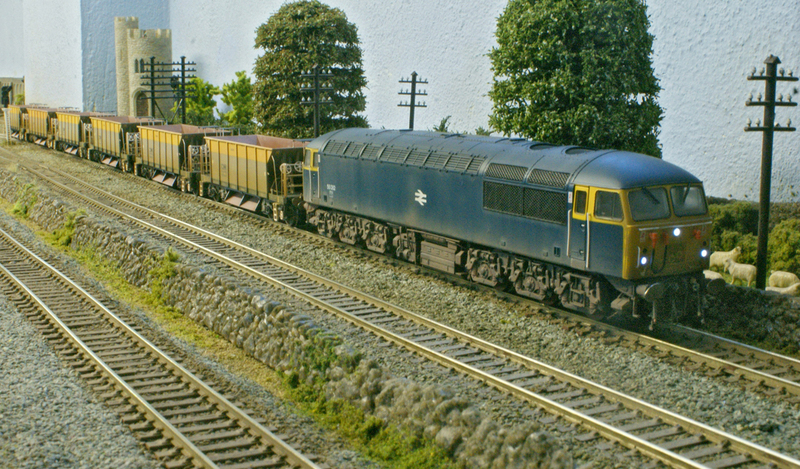 Next we see 56082 passing through Carswater with her hoppers now fully loaded. 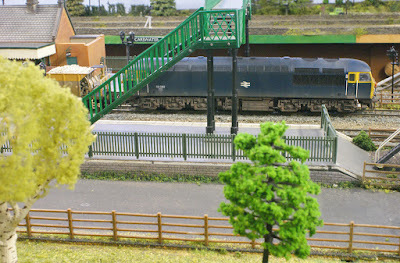 Before she then passes through the high-sided cutting, just beyond the station, in this final view of the train. Great pictures ! 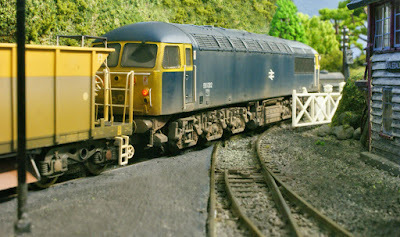 and really good weathered locomotive. Hi Alain, thank you very much for your comment, I am pleased you liked the pictures and, yes, the loco has been weathered superbly although, sadly, not by me!